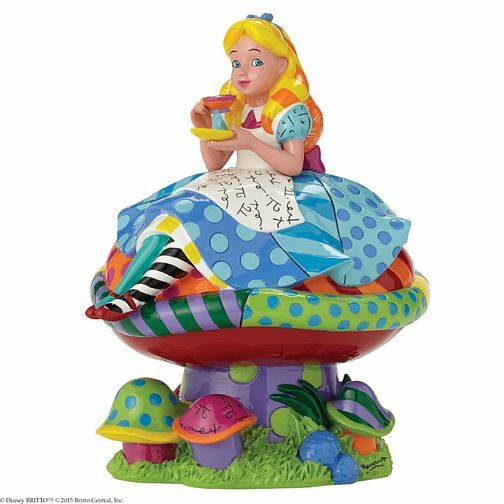 Disney Britto presents this enchanting Alice in Wonderland figurine, beautifully detailed in cheerful colours and patterns. This eye-catching gift is sure to brighten anyone's interior décor. Disney Britto Alice In Wonderland Figurine is rated 4.9 out of 5 by 7. Rated 5 out of 5 by Anonymous from Alice Lovely large ornament, well made and colours are so vibrant.